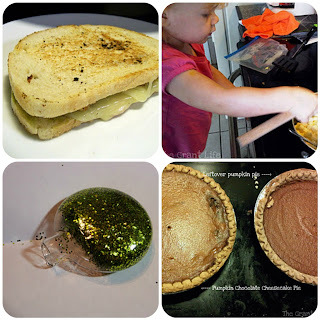 In addition to the original 12 Days of Christmas Crafts I chose to include a few bonus days! There were so many great ideas I couldn't just pick 12! 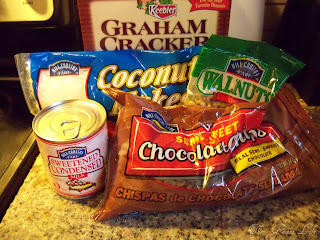 So here today we have Kelley from The Grant Life who is going to share with us a sweet recipe! Can you believe its almost Christmas? I know..I cant either. My house isn't even completely decorated yet! But we will get that taken care of soon. Our favorite part of Christmas is the time spent with friends and family. It warms my heart (Christmas-y cliche phrase.. I know. But its true!) to be able to sit and relax with my loved ones. Oh and the food. I love Christmas goodies! 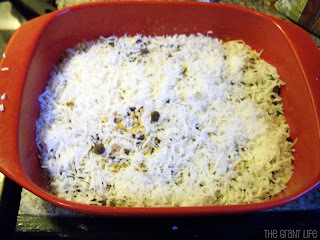 Today I'm going to share with y'all my all time favorite Christmas treat...magic cookie bars! These bars are simple to make and are great to take to a party or get together. I made mine Sunday morning for our church fellowship gathering that afternoon. I made them while I was making pancakes for the family. And doing laundry. And we made it to church on time. That's how easy they are to make. Melt your butter and add your graham cracker crumbs. Mix until all the butter is absorbed. Firmly press the crumbs into the bottom of a 9x12 baking dish. Cove the crust with the sweetened condensed milk. Cover the sweetened condensed milk with your chocolate chips and walnuts. Top that with your coconut. You can add more or less of each according to your preference. Bake for 30 minutes (at 350) until the coconut is golden brown. 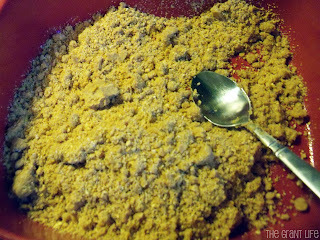 Once cooled, cut into bars and serve. 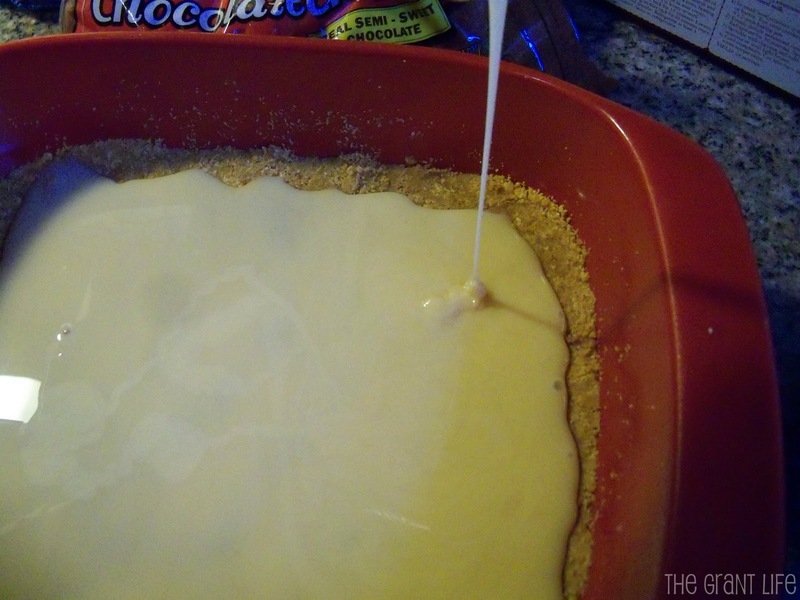 This is how your bars should look when done. (I didnt cut mine before we headed out because they werent completely cooled.) 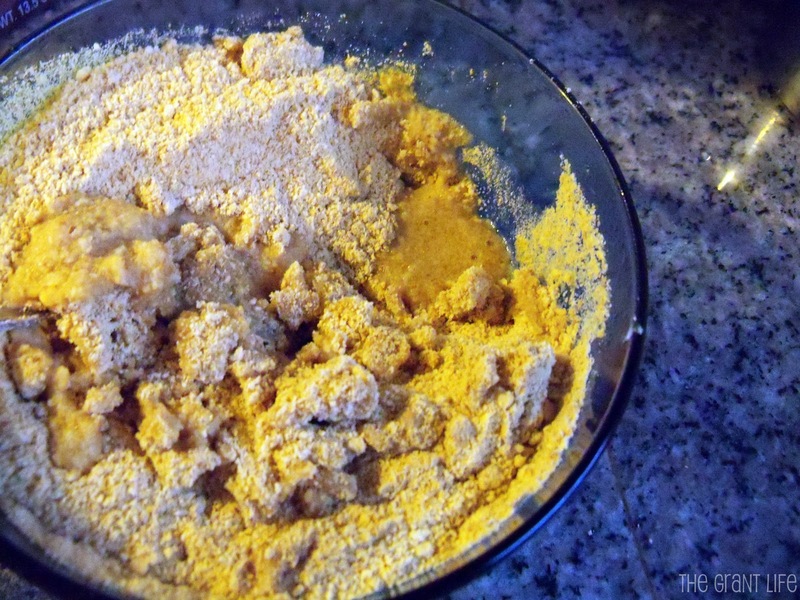 Super easy recipe that is sure to please everyone. 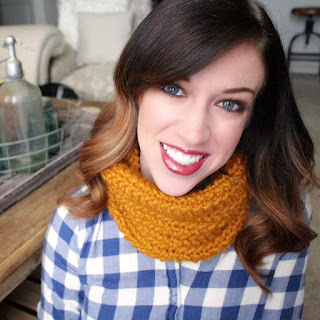 Thank you Audra for letting me share my Christmas recipe with you and your awesome readers! Make sure yall stop by my place and check out my 10 Homemade Christmas gifts under $10 series. I have some amazing guests and even better gifts. Hope to see yall there! Sunday Social - Blog Hop!